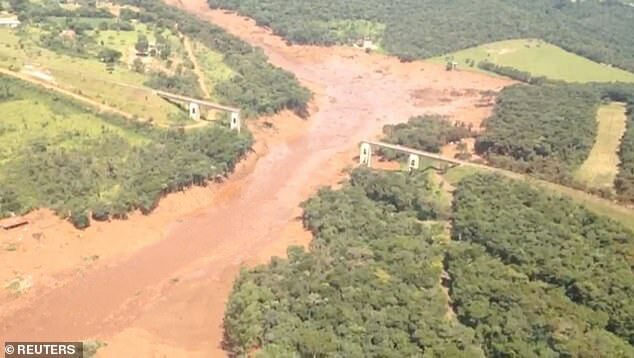 At least seven people have been killed and around 200 people are missing after a dam collapse caused devastation in southeast Brazil, authorities say. 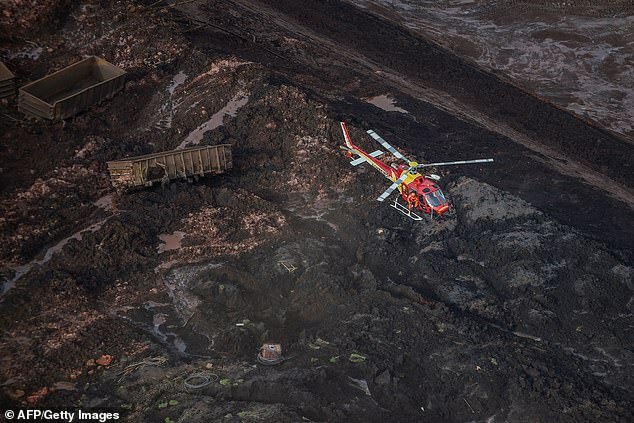 There are fears the disaster, which unleashed a torrent of mud towards the town of Brumadinho, caused a number of deaths, with a fire services officer saying there have been reports of 'several' fatalities. 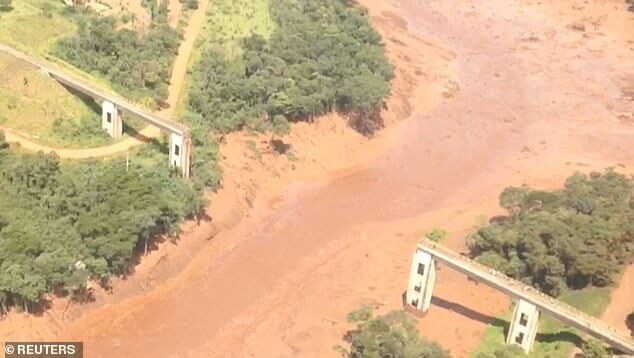 The dam, controlled by Vale mining company, broke early Friday afternoon, and houses in Brumandinho, in the state of Minas Gerais, were evacuated. 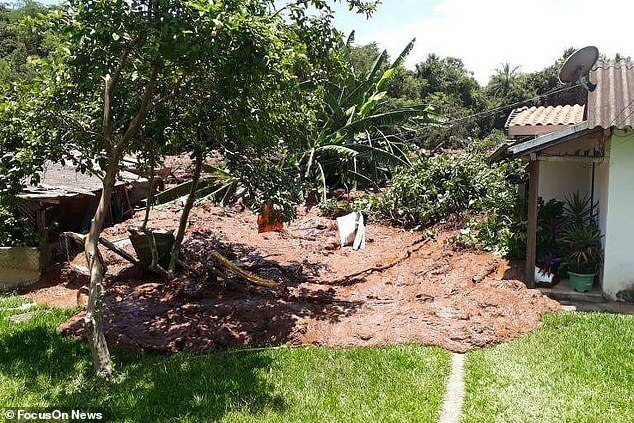 According to the fire service and the civil defense corp, residents living in the lower part of the city have been removed from their houses. 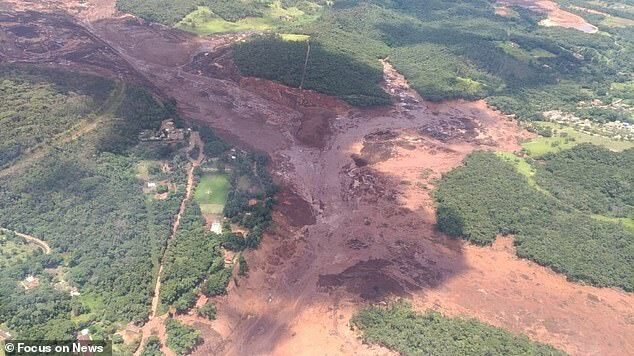 A state of emergency has been declared, and an emergency task force along with political leaders from the Minas Gerais government are already at the site of the disaster in Brumadinho. 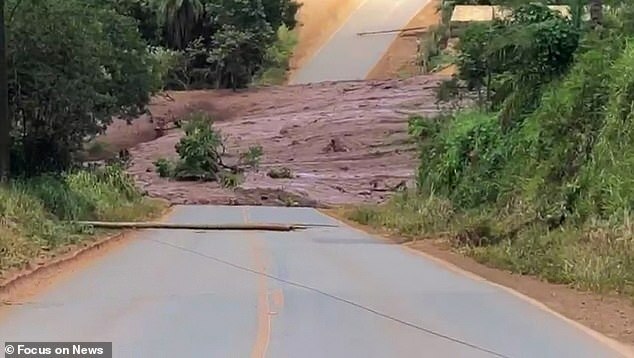 A spokesperson said: 'The government of Minas Gerais has already designated the formation of a strategic crisis office to closely monitor the actions. 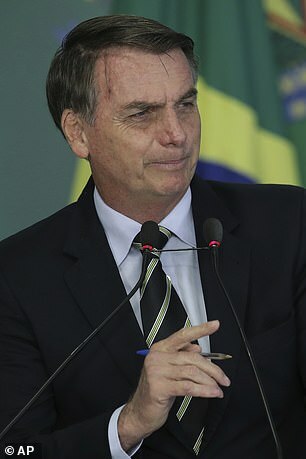 President Jair Bolsonaro has already convened an emergency meeting. 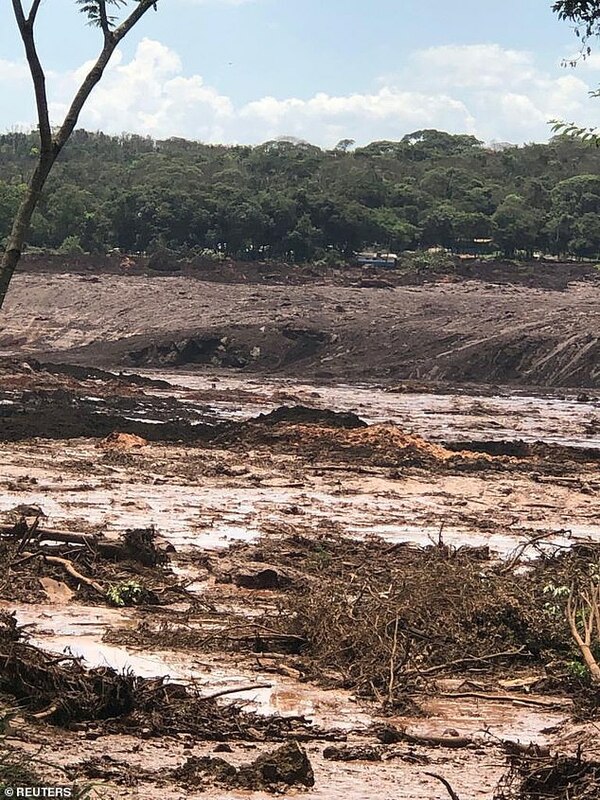 Vale Mining Company issued a statement lamenting the accident, saying: 'Vale reports that, at the beginning of this afternoon, Dam 1 of Feijão Mine was broken in Brumadinho (MG). 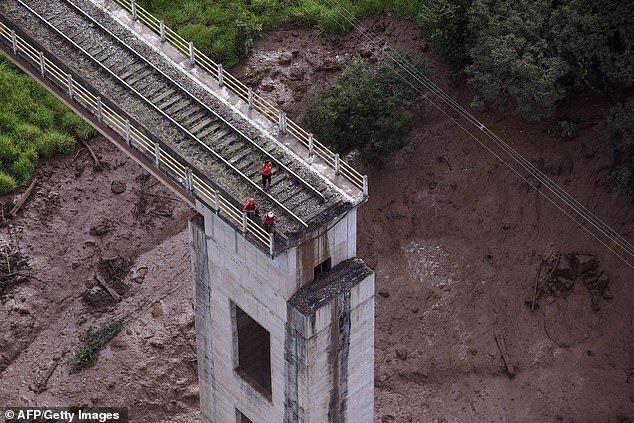 'The company deeply regrets the accident and is making every effort to help and assist those affected. 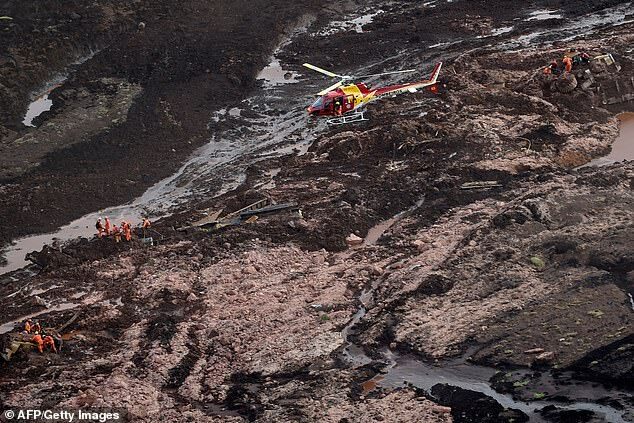 'There were employees in the administrative area, which was hit by the (mud slide), indicating the possibility, not yet confirmed, of victims. 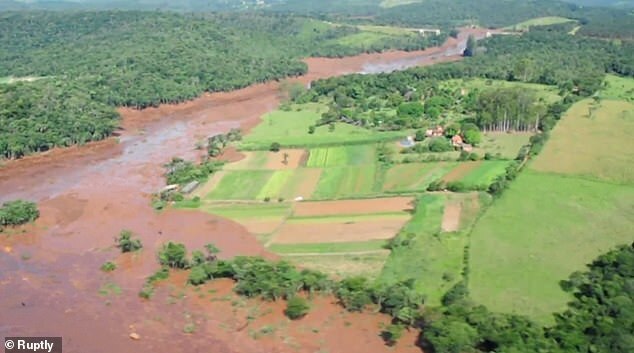 Part of the Vila Ferteco community was also hit. 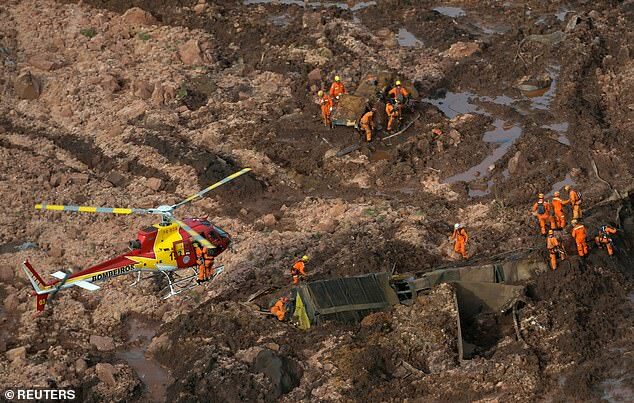 'Rescue and care of the wounded are being carried out on site by the Fire Department and Civil Defence. 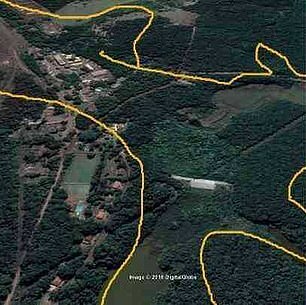 There is still no confirmation as to what has caused the accident. 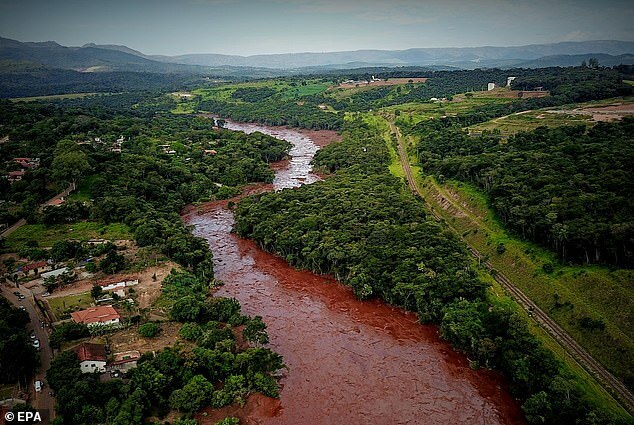 'The top priority of the company right now is to provide support and to help preserve and protect the lives of employees and local communities. 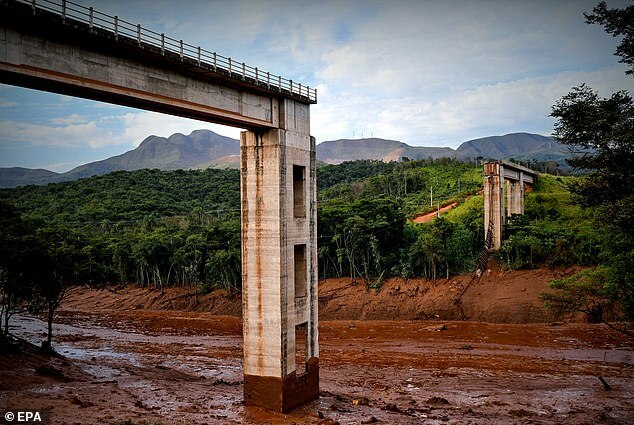 Brazil's environmental protection agency Ibama said the dam that burst on Friday held 1 million cubic meters of tailings, much less than the 50 million cubic meters in the 2015 disaster. 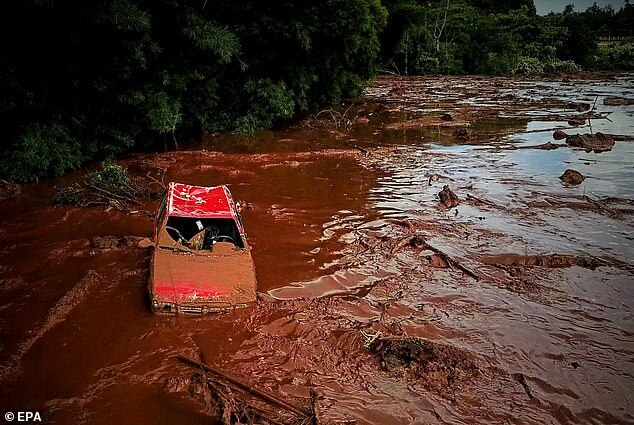 'Three years after the serious environmental crime in Mariana, with investigations still ongoing and no-one punished, history repeats itself as tragedy in Brumadinho,' she said in a Twitter post.